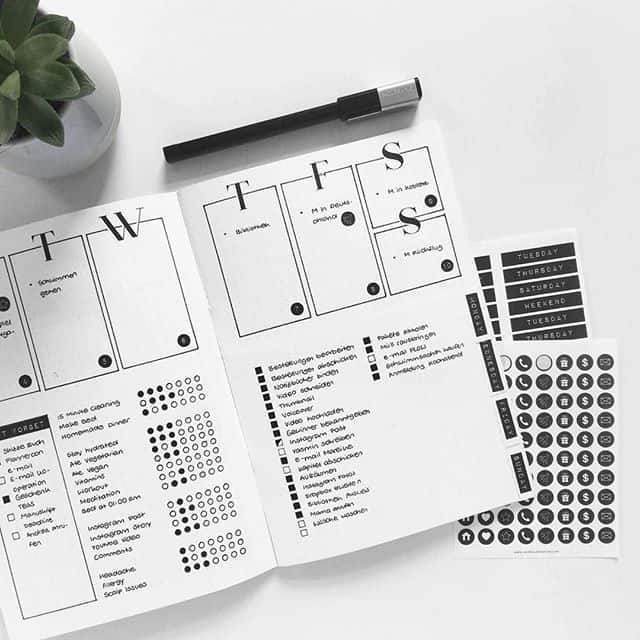 These minimalist bullet journal layouts might just inspire you to step away from the colored markers and embrace the simple life! 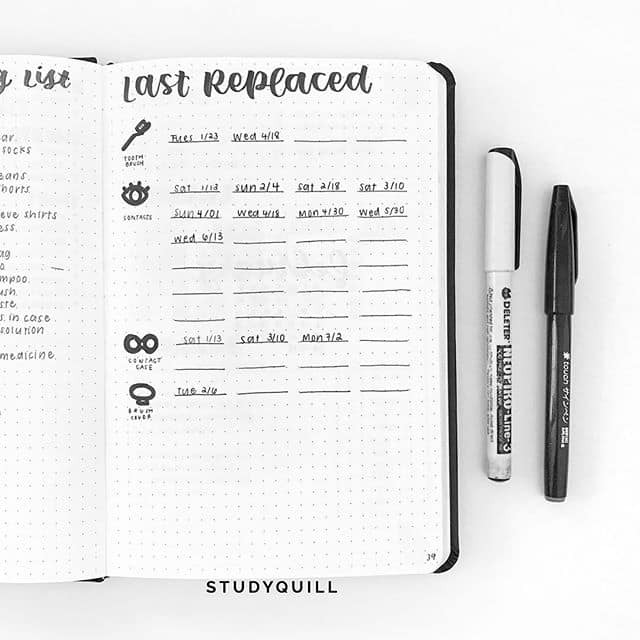 When Ryder Carroll set out his technique for just how to bullet journal it had Rapid Logging at its heart, and clean and simple spreads that allowed you to document your tasks and notes quickly. 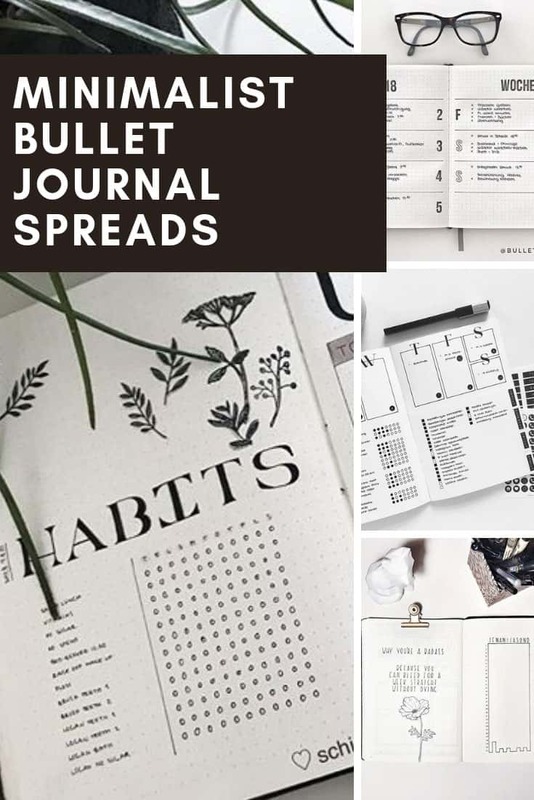 Of course the bullet journal has been embraced by many who are creative at heart and embrace all kinds of hand lettering, doodles and embellishments to turn their journal into something they WANT to use each day. 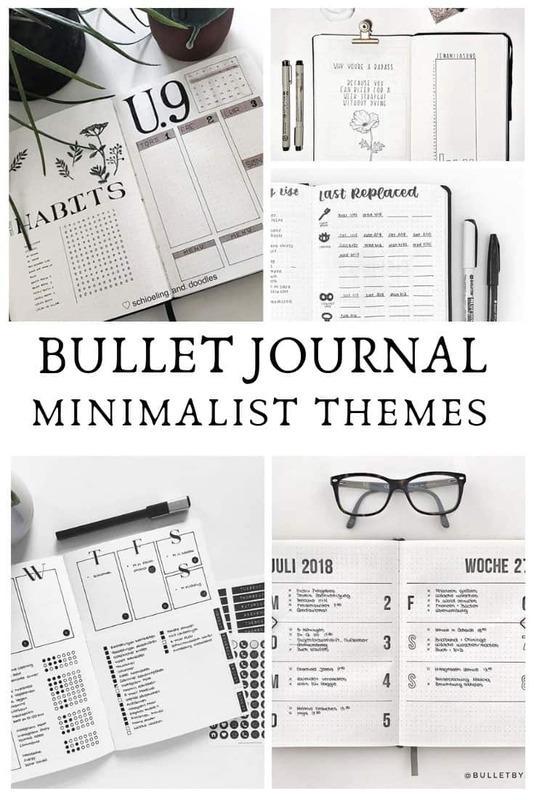 Today though I’m taking you back to basics to show you that a minimalist bullet journal can be just as beautiful, engaging and inspiring as the creative bright and colorful spreads and layouts I usually share! If you want to try your hand at simple minimalist spreads you’ll need to make sure you have a decent black pen (fineliners like this are the least prone to smudges), a ruler and a stencil because the one factor all these layouts have in common is that they look crisp and clean. This minimalist weekly spread is just GORGEOUS! 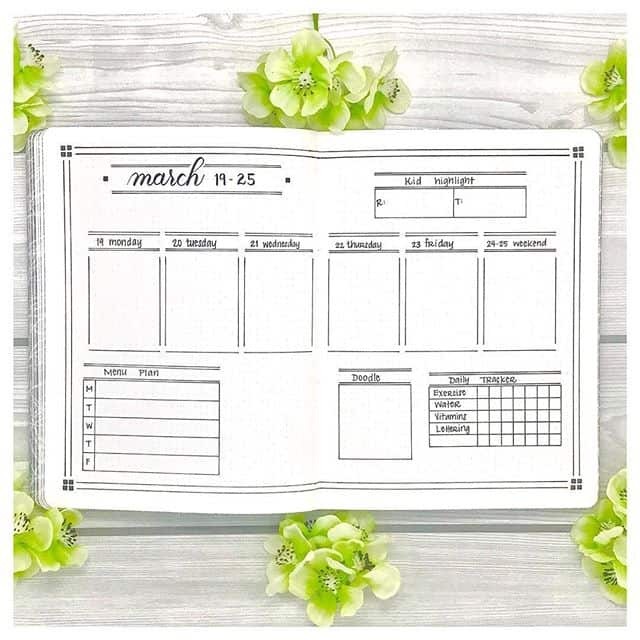 I love how it looks so simple but has room for a weekly schedule, task list and a habit tracker! If you’ve avoided minimalist layouts so far because you want to include a creative element in your spreads take a look at this daily log. It’s black and white with clean lines but there is still room each day for a doodle! I LOVE this spread because it looks beautiful but is also a perfect example of how the bullet journal works with the daily entries and the bulleted list with the signifiers to explain each item. 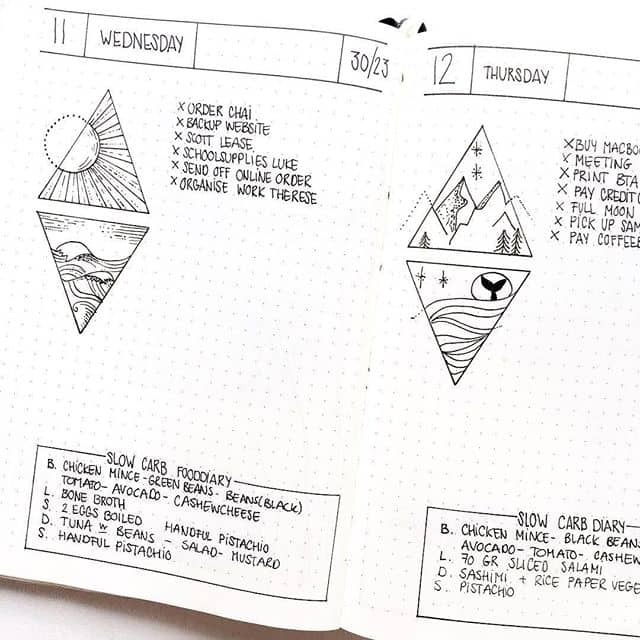 Here’s another great example of how to lay out a simple weekly spread. This one has room for a weekly doodle, a menu plan for the week and also a kid highlight! So sweet! 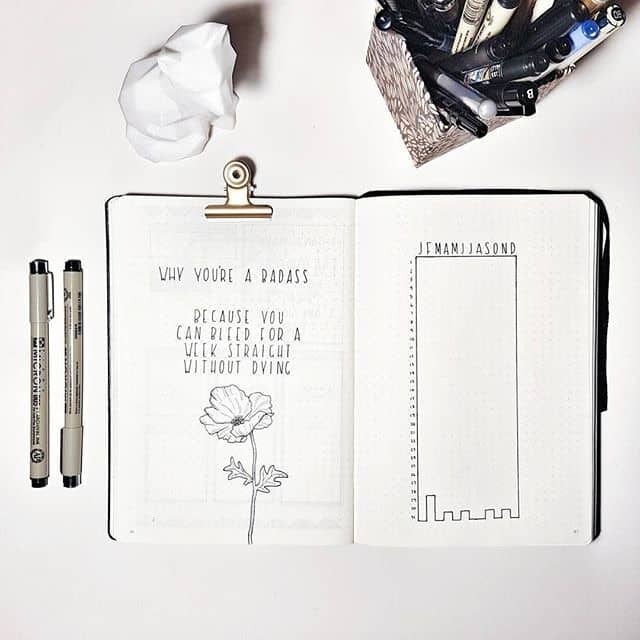 If you need minimalist cover page ideas for your journal you can’t go wrong with something simple like this with an illustration and inspirational quote. 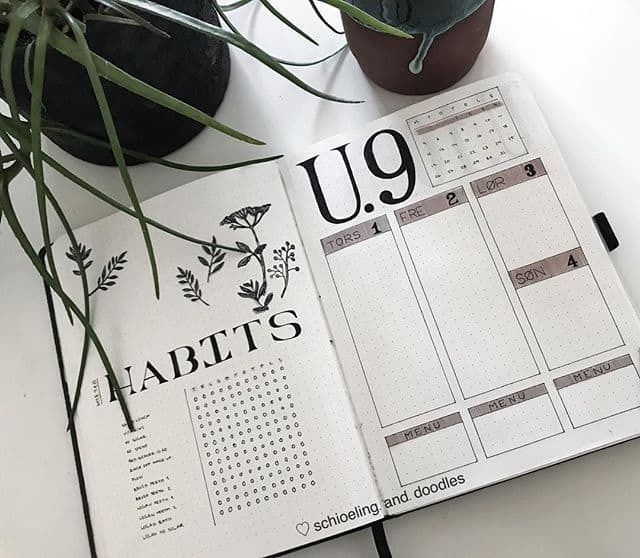 Here’s another example of how you can lay your habit tracker out in a simple spread. 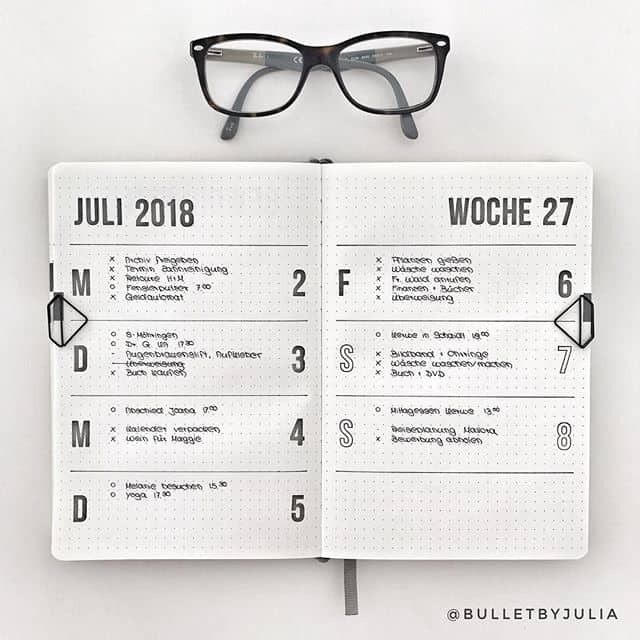 The Last Replaced spread is one of the most popular in our bullet journal tracker collection and I really like this minimalist spin, especially the little doodles to identify each entry in the list! What do you think? 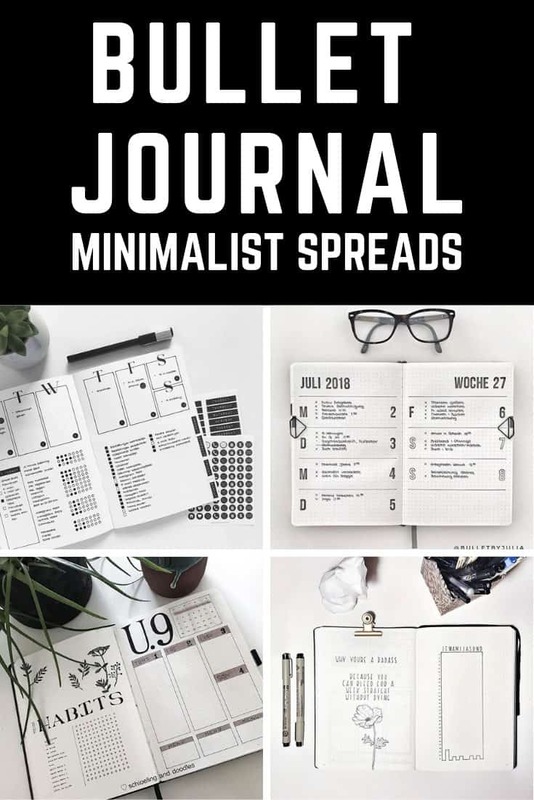 Are you team Minimalist or team Creative? Let us know by leaving a comment! If you have a favourite minimalist layout of your own you’d like us to see you can share a picture of it!